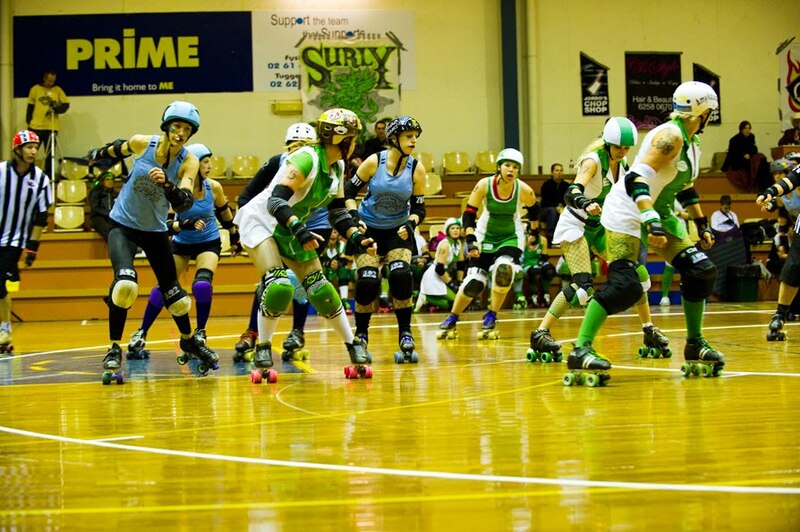 We jumped on the newest goth-niche-sport bandwagon and booked tickets months in advance for 'madstax: beyond the hyperdome', the final bout of the Canberra Roller Derby league. The event sold out, and the stadium was packed; if the level of public interest in the sport is maintained they are probably going to have to move to a bigger arena. Especially if they make a sequel to the movie. I was interested to see how the Canberra (presumably public servant-filled) teams would compare to the Baltimore Charm City Roller Girls we saw back in 2008. The Black 'n' Blue Belles (pictured) certainly brought the freakiness I'd seen in Baltimore, so I decided to go for them. 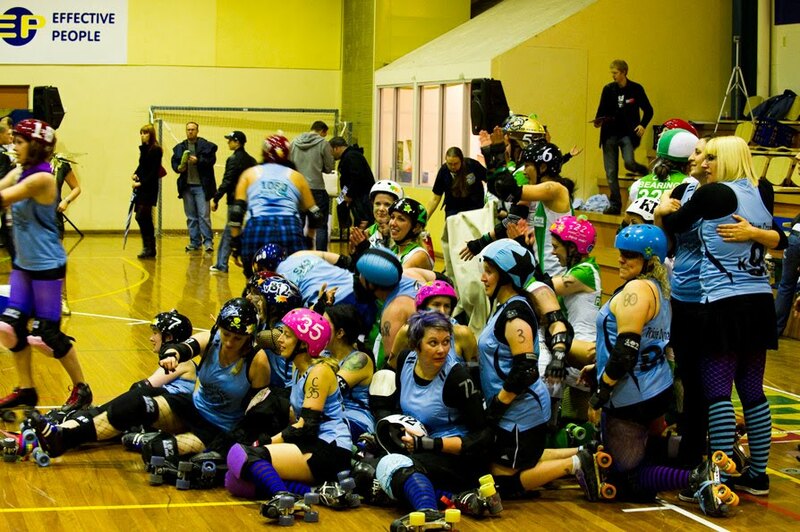 The Surly Griffins looked fairly normal in comparison, but had the skills and ended up winning the bout. The Canberra skaters were generally slower than those we saw in Baltimore, but I'm sure they'll get faster as they gain confidence and experience. Having said that, there were two stand-out really fast skaters (one from each team) who were often paired up as jammers and were loved by the crowd. Some of the hits were massive, there was definitely no holding back. The 'suicide seating' in Canberra was much less suicidal than in Baltimore where skaters landed in the crowd regularly. Had a great time, would go again! Thanks to D-eye on flickr for the great photos.